Hello, and welcome to episode 15 of The Alzheimer’s Podcast. I’m Mike Good of Together in This. 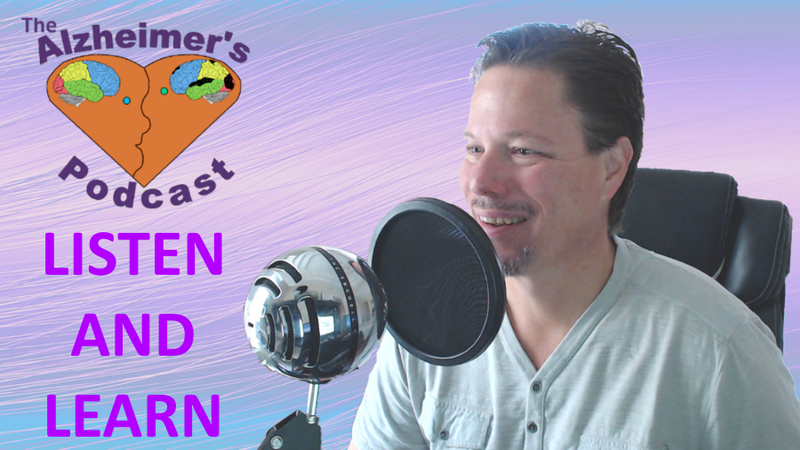 Thank you for joining me for another podcast where my goal is always to empower you to maintain a positive experience, reduce and eliminate the need for medications, and make your time together with those you care for, the best it can be. Download the MP3 by clicking the icon on the player above. Interested in Sponsoring or Being a Guest? Today Christy Turner the founder of dementiasherpa.com joins us for a conversation about resolving behaviors without medications. It’s all too common to hear caregivers talk about how their loved one acts and behaves differently than they would have in the past, and how they, the caregiver, are struggling to cope with these behavioral changes. From exiting the home when we don’t want them to, to becoming combative, the list of undesirable behaviors can be quite long. Unfortunately, due to a lack of education and training, people tend to label these actions and the individuals with terms that have a negative connotation. And often caregivers turn to the use of medications to resolve the individual’s behavior. 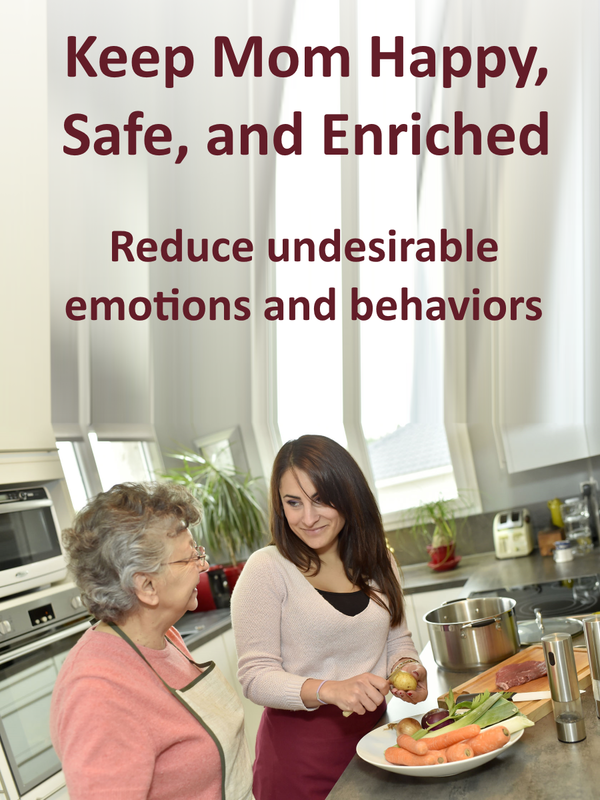 But what causes these undesirable behaviors and what can you do to resolve them without the use of medications? This is one of the most, if not the most, important topic we need to discuss in dementia care. That’s why I’ve asked Christy Turner – The Dementia Sherpa to join us for this conversation to share insights and strategies. Christy Turner is a Certified Dementia Practitioner, Certified Dementia Care Unit Manager, and Cognitive Stimulation Instructor. She has run award-winning memory care communities in assisted living and skilled nursing levels of care. 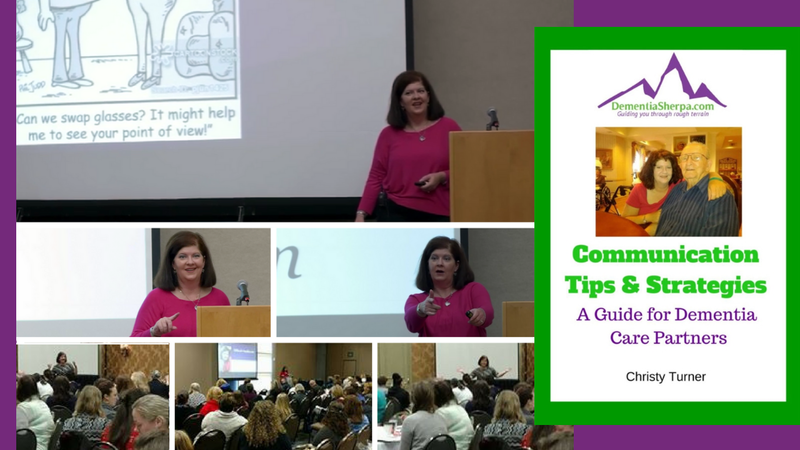 Using her 16 years of experience in working with over 1,100 people living with dementia and their families, she’s developed a system that helps families move from crisis management to confidence. Christy helps her clients stop losing precious time to stress, worry, and arguments and start feeling joy again. And very importantly for this conversation, she is an expert in creatively managing “behaviors” without drugs. 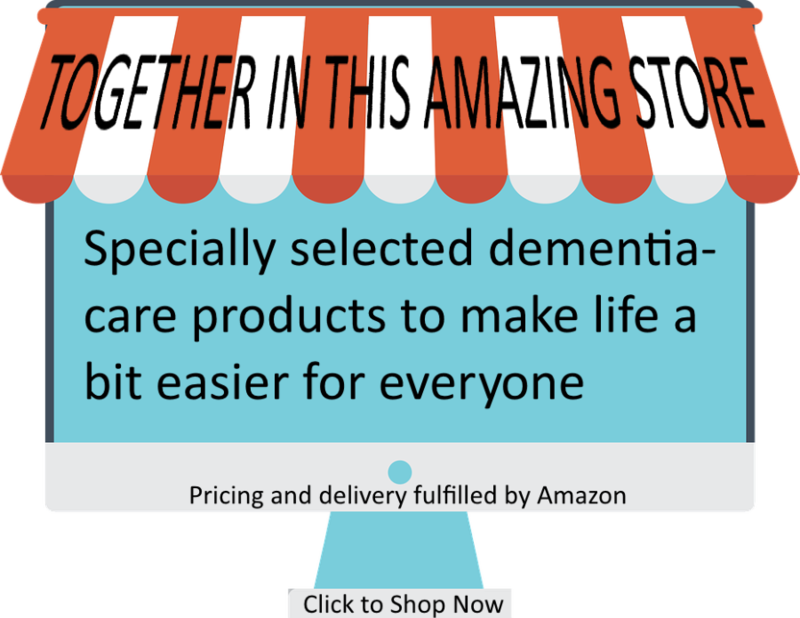 Be sure to visit Christy’s website at dementiasherpa.com – you’ll find the link as well as all the referenced resources below. To help support this podcast please consider leaving a review and be sure to subscribe so you don’t miss an episode. Take care and I look forward to talking with you in the next episode. 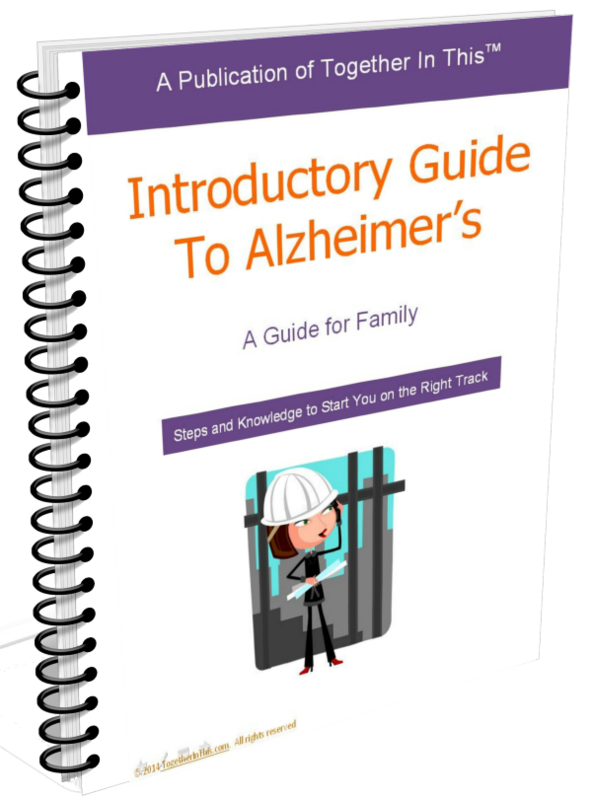 Hi, I founded Together in This to help family members caring for someone with Alzheimer’s. Through informative training and easy-to-use tools, I aim to help you take control and have peace-of-mind knowing you are doing the right things. Thank you so much for having me on, Mike. It was a pleasure. I’m kind of amazed at how much ground we covered in such a short amount of time! You are welcome Christy. I really enjoyed the conversation and learned a lot. 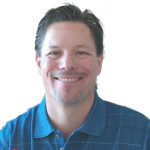 I'd love for you to join me and other Together in This followers on social media. Don’t be unprepared for the challenges you will face when caring for someone who is living with Alzheimer’s dementia. Your FREE Guide is Ready! Become a streamlined resource of information, ideas, and solutions, delivered in layman’s terms; empowering unpaid caregivers to feel supported both emotionally and practically, as they undertake their care partnering role with a cherished love one. Unpaid family caregivers are empowered to maximize the safety and well-being of their loved one while maintaining their own health and livelihood; thereby, delaying the need for paid assisted living. Disclaimer: Content on this site is not intended to be a substitute for professional medical, legal, or financial advice.